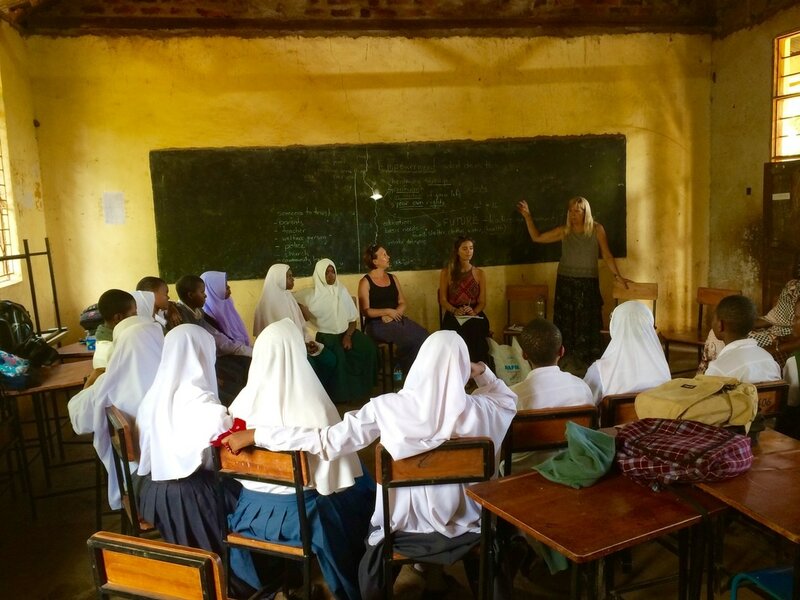 In conjunction with Msasani Secondary School, Team Vista has set up a Young Women's ‘hang-out’ space in a vacant classroom at the School based in Kaloleni. Kaloleni is a poor community on the outskirts of Moshi. The community is built up around a rubbish dump and it houses some of the poorest people in the Kilimanjaro region. Team Vista has been working in the community for 8 years providing health care and education to over 300 children, with a focus on girls. Team Vista commenced the Young Women’s Empowerment Group in 2014 with the aim of giving 20-30 at-risk young women in their final year of secondary school (Form 4) the opportunity to meet together every Friday afternoon and form a supportive group. Here they study together, listen to guest speakers – who are chosen for being positive role models in the community (most of these young women do not have a positive female role model in their lives), perform various activities of interest, discuss empowerment and women’s rights, discuss health and wellbeing, talk about taboo subjects in a safe space, and enjoy some food that is provided by Team Vista. In addition to this, a Monday afternoon session has been established purely dedicated to exercise and sport, as the young women identified this as extremely important to them and their interests. During this session, they perform various exercise and sporting activities, with the aim of starting a sport team, learn about teamwork, and coaching. Due to various issues in the community such as one or no parent households, many of these young women become heads of households; looking after the cooking and other domestic duties. This combined with a lack of electricity and space in the home often leads to them neglecting their study, becoming at risk of receiving poor grades or failing. As a result of these factors, often the girls become disheartened and disinterested in school – often dropping out and becoming pregnant at a young age. Team Vista’s main desired outcome is to assist in breaking the cycle of poverty through the girls staying in school, studying hard, and having self-belief. This is an important project as it gives the girls something to strive for by fostering a sense of empowerment, and the confidence to achieve what they put their minds to.